There’s an assumption that web speeds are—in developed countries, anyways—super fast now. For some people they are, but many people, even those living in cities and such, they’re horribly slow. Ads are ruining the web. As a result, more people browse with ad-blockers that can be pretty aggressive in what they block out. A lot of people DGAF about backwards compatibility and write code that only works on newer browsers that your users may not be using. Another way to look at this: let’s say the numbers are lower. Maybe… one in every 200 users. One in every 500. 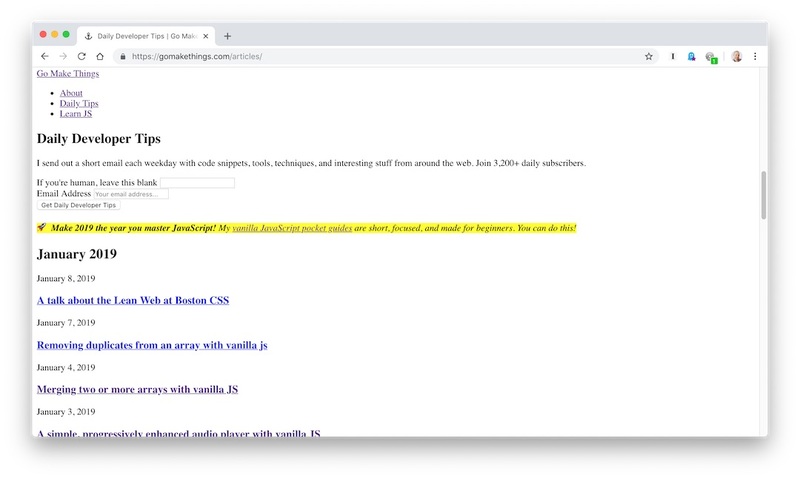 When JS fails to load, you often lose interactivity, access to certain pieces of content, or if your site is entirely JS rendered, the whole damn site. But you can provide a minimum experience with HTML alone, and you should. But you can build a site that’s tolerant of some common failures. You can build in layers. You can ensure that if all that loads is an HTML file, the user can still do something. It’s 2019. We have the ability to build the fastest websites and apps ever. But instead, we’ve built a slow, buggy mess.